Discussion in 'General Science & Technology' started by paddoboy, Feb 7, 2017. 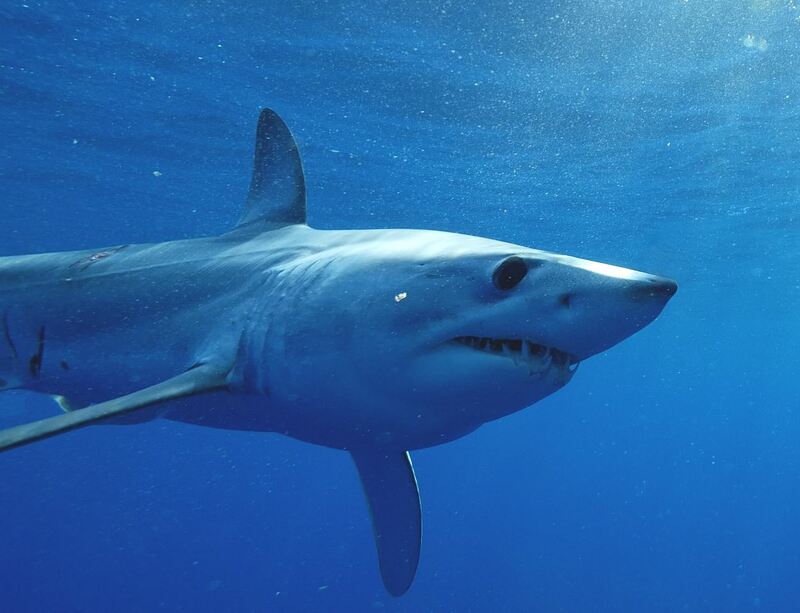 "We've had some of our tagged makos take some pretty interesting tracks over the years, but this one swims above the rest," said Mahmood Shivji, a professor at NSU's Halmos College of Natural Sciences and Oceanography and the Director of NSU's GHRI. "Having Hell's Bay report for as long as he has is fantastic because we're able to really get a detailed look at mako migration behavior over a good amount of time. He was like the Energizer bunny – he kept going and going and going, and luckily did not get captured like many of our other sharks." Wow!!! Half way around the planet in under 2 years! How does this apply to other breeds such as the infamous White Pointer?